I am a surfer, photographer, and shark attack survivor from the island of Kaua'i. I am passionate about marine conservation, particularly what's going on with shark conservation and the rapid decline of shark stocks worldwide. I also feel a calling to help others overcome adversity, and enjoy being an outreach to other amputees and the adaptive/disabled community. 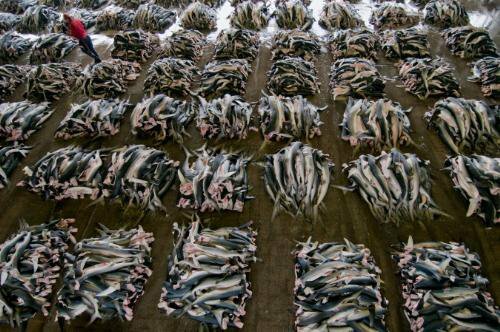 It's insane the amount of sharks needlessly killed, about 100 million a year. It is a completely unsustainable rate considering extinction is forever. As an apex predator, they play a invaluable role in our marine ecosystem. We need our oceans to be living and functioning, or our lives, regardless of on land or water, will become greatly affected over time. As a fellow "island boy," President Barack Obama knows the importance of Aloha 'Aina (love of the land) and he has done a lot for sharks since he took office. He signed the Shark Conservation Act of 2010 and has created huge marine protected areas in the Central Pacific that protect all species. The president has only a few more months left in office and there's a few more things he can do to protect threatened shark species here in Hawaii. Please sign this petition to ask President Obama to expand the Papahanaumokuakea Marine National Monument as proposed by prominent members of the Native Hawaiian community. 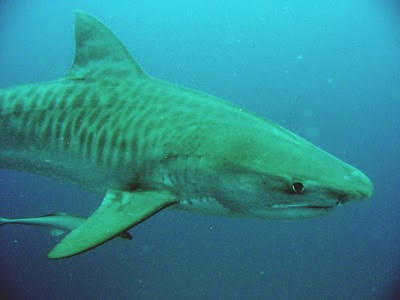 Research also shows that habitats within the existing monument support abundant Galapagos sharks (Carcharhinus galapagensis), tiger sharks (Galeocerdo cuvier), and grey reef sharks (Carcharhinus amblyrhinchos). These species, and others, have been shown to travel to the area of the proposed monument expansion. For example, a combination of fishing data and satellite and acoustic telemetry revealed tiger sharks swim thousands of kilometers along the Hawaiian chain and out into the open ocean, with individuals found more than 600 kilometers offshore. By increasing the size of Papahanaumokuakea, these resident species, and other highly migratory sharks that frequent these waters can be protected. The value of large protected areas to sharks has been demonstrated, and expanded protection in this area will be of benefit to multiple threatened shark species. Sustainable Shark Diving (www.sustainablesharkdiving.com), a new website that provides tools and “Trip Advisor-like reviews of shark dive tourism operations around the world is now live. The website, previewed at the 2015 DEMA Show in Florida to overwhelming interest and support, has opened and now offers shark divers an opportunity to learn about best practices while helping to promote more sustainable environmental and safety within the industry. 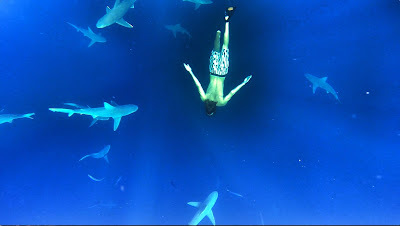 The popularity and growth of shark dive tourism over the past decade is undeniable. Divers increasingly want to see sharks and are willing to pay well to have close encounters with these charismatic species. For a critically threatened group such as sharks, this is good news. 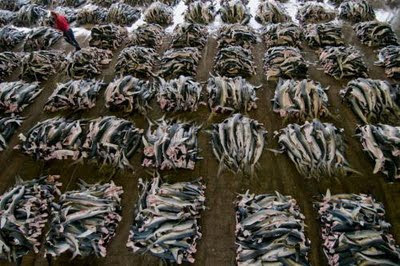 “Over 100 million sharks die each year due to interactions with fisheries, “ reports Rick MacPherson, marine biologist, conservationist, and founder of the new online tool Sustainable Shark Diving “I believe a living shark showcased for tourism over its lifetime is better than a dead shark used once for its fins and meat,” says MacPherson. “I created sustainablesharkdiving.com as a free, open access portal for tourists and dive operators to help underscore the value of healthy shark populations to tourism as well as highlight best practices and lessons learned from shark dive operations around the world.” Dr Austin Gallagher, Postdoctoral Researcher at Carleton University and principal author of a ground-breaking 2015 global study of the shark diving industry, agrees, "The value of shark diving tourism to local economies and cultures has emerged as one of the leading arguments for the conservation of sharks around the world." 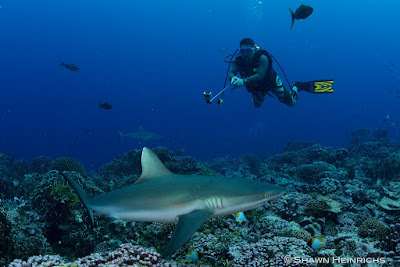 Importantly, Sustainable Shark Diving features a Trip Advisor-like review section that allows divers to rate their experience with any shark dive operation against a set of sustainability criteria that includes safety, environmental performance, staff interactions, and overall educational/conservation value. "This tool has enormous potential to begin pushing the entire global industry closer to sustainability and accountability”, says Dr Gallagher. “By allowing the tourists themselves - the lifeblood of this and any tourism industry - to rank the performance, safety, and environmental ethics of operators around the world, the industry as a whole becomes more transparent and we can promote the good and hopefully phase out the bad."